Cox, Wootton, Lerner is pleased to announce that six of its partners have been selected to the 2015 California (Northern and Southern) Super Lawyers list and that one of its associates have been selected to the 2015 California (Northern and Southern) Rising Stars list. Each year, no more than five percent of the lawyers in the state are selected by the research team at Super Lawyers to receive this honor. 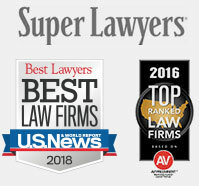 Terence S. Cox, Richard C. Wootton, Mitchell S. Griffin, Rupert P. Hansen, and Marc T. Cefalu, all partners with the firm’s San Francisco office have been selected to the Super Lawyers list. Courtney M. Crawford of the San Francisco office has been selected as a Rising Star. Neil S. Lerner, partner in the firm’s Los Angeles office, has also been selected to the Super Lawyers list.